Australian advanced materials technology company, Talga Resources Ltd (“Talga” or “the Company”)(ASX: TLG), has achieved outstanding conductivity results from Talphene®-enhanced epoxy composite trials undertaken at TWI in the UK. 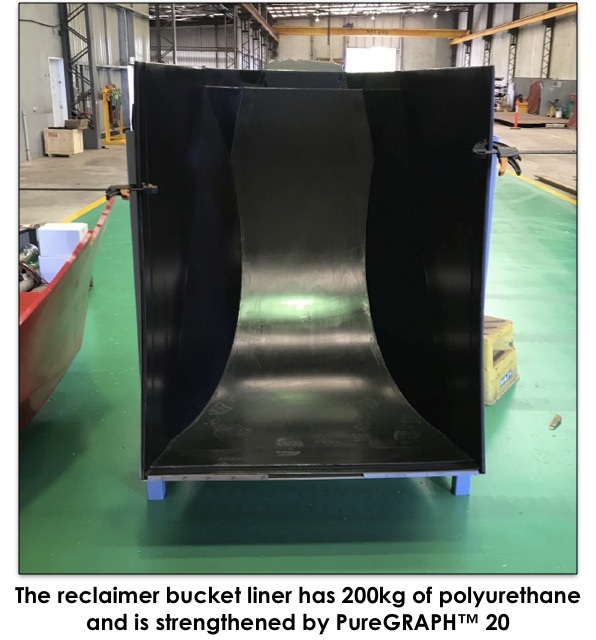 Carbon fibre reinforced polymer (“CFRP”) panels were constructed using a dispersion of Talga graphene (Talphene®) in the epoxy based resin of the composite and subjected to a range of conductivity tests pertinent to aircraft applications. 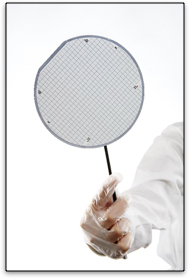 Results showed the Talphene® panel provided similar lightning strike protection as copper mesh panels currently used in composite aircraft but saved 75% of the weight of the copper (Figs 1,2 and Table 1). Further results demonstrating Talphene®’s significant conductivity included up to 500% increase in dielectric constant, 100% increase in resin thermal conductivity as well as spot temperatures well over 100 degrees celsius in anti-icing trials (Fig 3). As CFRP resins are normally non-conductive, these results are highly positive. The ability to improve the weight, electrical and thermal conductivity of CFRP composites has significant benefits for applications such as lightning strike protection and wing anti-icing on aircraft, both of which currently use heavy copper mesh. 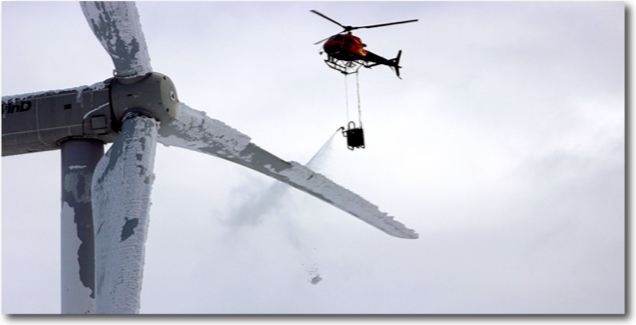 The same technology would also be of benefit to wind turbine blades that require manual or chemical de-icing in winter (Fig 4). 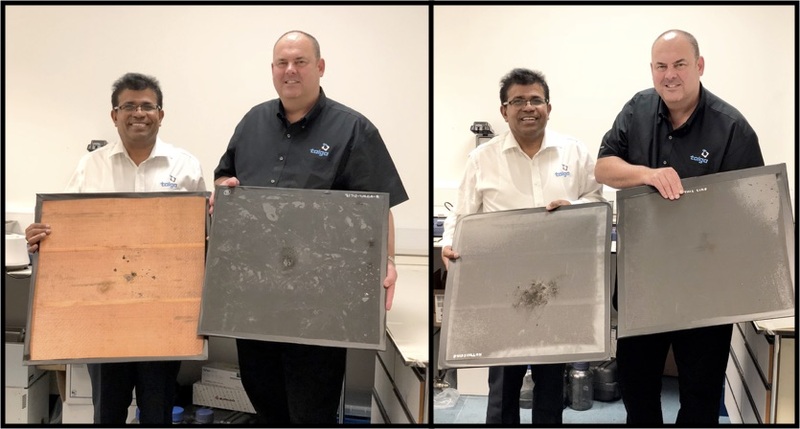 Figure 1 Managing Director, Mark Thompson and Chief Technology Officer Dr Siva Bohm showing some of the CFRP test panels after lightning strike tests (Talphene® panel on right in both photos). Note the rear of the Talphene® panel (far right) shows no exit puncture. The copper mesh panel shows damage from further testing but would also otherwise show no puncture. Talga graphene enhanced epoxy composite prototypes were tested at TWI, a respected material science and engineering institute near Cambridge, UK, and Cobham Technical Services under certified aerospace standard laboratory conditions. The prototype formulation was prepared using Talphene® produced from the Company’s Vittangi graphite deposit in Sweden and dispersed using a proprietary method developed by Talga Technologies Limited in the UK. The program assessed epoxies from Hexcel, 3M, Bitrez and Huntsman with which to disperse the Talphene® and construct the CFRP samples to be tested. Tests were conducted on 600mm x 600mm, three-ply CFRP panel samples measuring electrical properties by dielectric constant, thermal conductivity according to ISO8301:1991 Ed1, lightning strike tests at Cobham Technical Services according to EUROCAE ED-105A to Zone 2A strike specification and anti-icing tests by Joule heating using MacGregor power supply and thermal imaging. SEM and optical microscopy confirmed dispersion of the Talphene® into the resin. Table 1 Summary of Cobham Technical Services lightning strike test data showing similar performance of Talphene® enhanced CFRP panel to that using copper mesh. Figure 3 Anti-icing tests of Talphene® enhanced CFRP panel using an electric current (Left) with thermal imagery showing temperature at rest (Centre) and under voltage (Right). 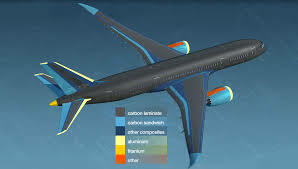 The global composite market is worth over USD$82 billion/year1 and is rapidly growing across sectors in aerospace, renewable energy and automotive markets driven by increased demand for lower weight, higher strength and multi-functionality. By 2024, the total volume of the CFRP composite material market is predicted to be in excess of 290,000 tonnes2. Key producers include companies such as Toray, Toho Tenax, Mitsubishi, Hyosung, Cytec, Plasan, Hexcel Corp, SGL (Germany), Gurit (Switzerland) and Formosa Plastics Corporation. Figure 4 Example of expensive and high enviro-impact chemical de-icing of wind turbine blades in northern hemisphere winter. Turning the CFRP blade into a self- powered heating element offers a better solution. Graphene enhanced composites are one of the four key sectors of Talga’s commercialisation strategy and these test results validate the Company’s focus and potential in this sector. Talga will now progress its products in the composites market using these prototype test results as the catalyst to initiate joint development and commercial agreements with global end users. 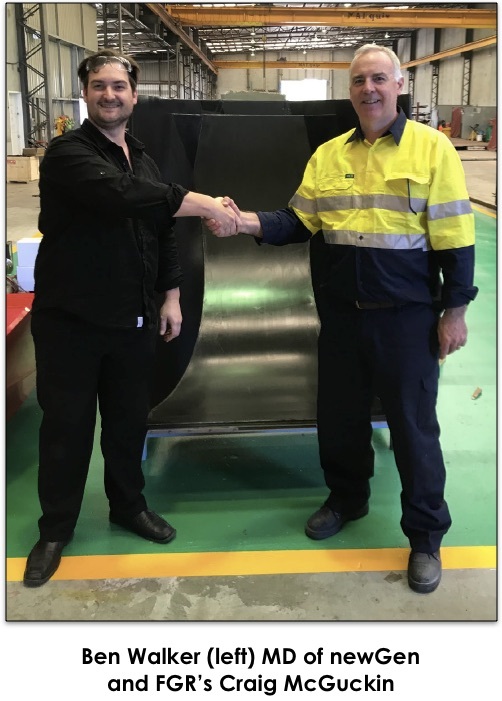 Talga Resources Ltd is an advanced materials technology company enabling stronger, lighter and more functional products for the multi-billion dollar global coatings, battery, construction and polymer composites markets via graphene and graphite products. 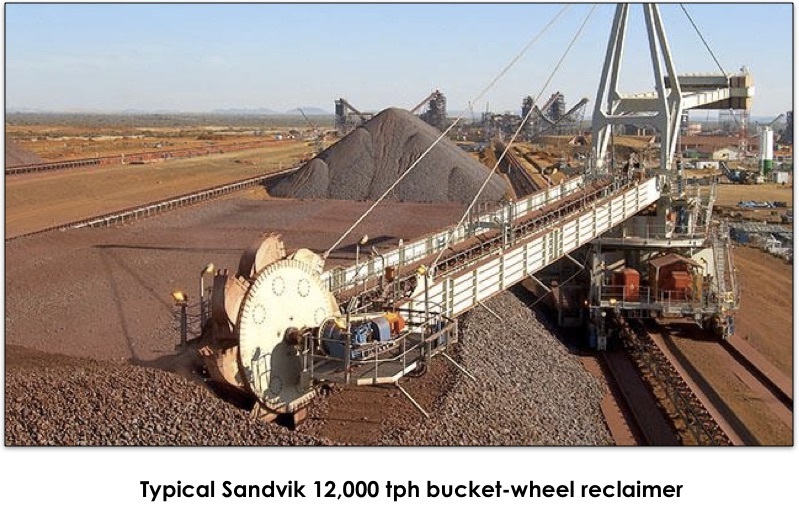 The company has significant advantages owing to its 100% owned unique high grade graphite deposits in Sweden and in-house processing and product technology. Joint development programs are underway with a range of international corporations. Phoenix, Arizona, October 9, 2018 — FOR IMMEDIATE RELEASE: Urbix Resources, an advanced graphite company based in Mesa, Arizona, has produced the first economically viable graphene-enhanced lightweight concrete, an achievement that represents an industry breakthrough. About four years ago, Alan Dalton, a professor at the University of Sussex in the UK, made some news in graphene circles when, in collaboration with colleagues at Trinity College Dublin, he demonstrated that rubber bands when combined with graphene could serve as effective health monitors. A couple of years later, Dalton continued to make news by using graphene to link together silver nanowires to create a material that could potentially replace indium tin oxide (ITO) as a transparent conductor in touch-screen displays. The following year in 2017, Dalton, serving as chief scientific officer, joined with an experienced group of individuals, led by CEO John Lee, who had a long career in energy and cleantech equity markets, to form Advanced Material Development (AMD). One of the main areas of focus for AMD is producing nano-dispersion inks and emulsions. These support our own R&D work and also provide a foundation for bespoke materials formulations being developed for partners. This is a key reason why we choose to keep our R&D efforts within the University - to retain a critical high-end capability. Our other efforts in coatings, flexible electronics, composites and medtech sensors all sit nicely on this platform technology. Australian advanced materials technology company, Talga Resources Ltd (“Talga” or “the Company”) (ASX:TLG) announced it has signed a Joint Development Agreement (“JDA”) with Biomer Technology Ltd (“Biomer”), a UK based polymer manufacturing and technology company, to co-develop graphene-enhanced thermoplastics for potential commercialisation in the healthcare and coating markets. This initiative is in the composites sector under Talga’s graphene commercialisation strategy. Creation of new multifunctional thermoplastic polyurethanes incorporating Talga functionalised graphene (“Talphene®”) in Biomer polymers. Includes terms for evaluation, five (5) years exclusive supply in the event of commercialisation of products and intellectual property ownership. Commercialisation of successful products for targeted biomedical and coating applications can be facilitated through Biomer’s existing global-scale commercial clients. Under the terms of the JDA Biomer will design and synthesise thermoplastic polyurethanes (“TPU”) incorporating Talga’s graphene (“Talphene®”) products for evaluation in biomaterial (medical devices) and industrial coating (marine anti-fouling) amongst other applications. The Talphene® enhanced TPU will be evaluated alongside Biomer’s commercially available TPU and other polymers under development with Biomer’s global industrial partners. Talga Managing Director Mark Thompson: “Talga is excited to enter this agreement with Biomer that provides an accelerated path to new polyurethane products and expanded commercial opportunities. Biomer has an extensive network of advanced polymer materials technologies experts and commercial/customer relationships that can be leveraged to accelerate Talphene® into the world of polyurethane products. We look forward to working with Biomer through the JDA to incorporate Talphene® into Biomer products with a view to enhancing people’s lives through advanced biomedical healthcare products, reducing eco-impacts of ship coatings in the marine environment and improvements to many other polyurethane based products”. Biomer Managing Director Simon Dixon: “Biomer are excited to work with Talga on the significant potential for graphene in our proprietary high performance polymers and the opportunities it presents for advancing both design and manufacturing in the biomedical and specialty industrial market sectors. Graphene is carbon and humans are carbon based. Thus graphene enhanced polymers have the potential to provide reduced implant rejection sensitivity and improve biocompatibility, more durable plastic components for joint and vascular replacements, and utilise graphene’s self- healing properties and electrical conductivity to enhance a host of biomedical applications. Inversely it may be engineered to have biocidal properties, providing a potential pathway to metal-free anti-foul marine coatings. The market potential is significant with the existing thermoplastic polyurethane market size exceeding 21.7 million tonnes products1 and total market value c.US$57.8 billion2 including, automotive, aerospace, coatings, healthcare products, and many other applications. Preparation of functionalised formulations for incorporation with Biomer products and testing is planned to commence next month. Talga Technologies Limited (Cambridge, UK) will prepare and supply the Talphene® products and interface with Biomer staff to fulfil work programme outcomes and deliverables. 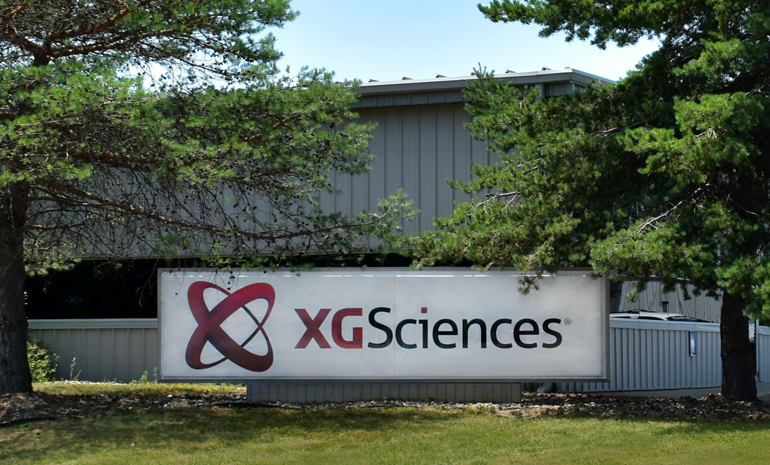 Under the JDA Talga and Biomer will co-fund R&D, material supply prototype development, manufacturing process development, and internal and external testing. Biomer’s target customers have also agreed to participate in product testing programs. Anticipating successful outcomes the companies have agreed in advance to incorporate commercial terms that include minimum 5 year exclusive supply of Talga graphene on jointly developed products, and terms of intellectual property rights. Other commercial terms including pricing are to be further agreed and specified during product development. Haydale, the global advanced materials group, has announced that it has completed the installation and commissioning of a two-roll lab mill at its site in Loughborough, UK. The new elastomer mixing capability sits alongside the current elastomer moulding and testing facilities that are already on site at Haydale in Loughborough, UK, thereby bringing in-house the facility for Haydale to serve customer requirements for nanomaterial enhanced elastomer development. CleanTech Open Award winner (and Graphene Council Corporate member) Urbix Resources has announced plans to build a graphite purification plant. Ground will be broken in 2018 for plant completion in the second half of 2019. Urbix executives are currently searching for the perfect site to build the proprietary facility the company is planning. They are looking at locations in Maricopa County in Arizona as well as possible sites in Nevada, California, and Hermosillo, Mexico. 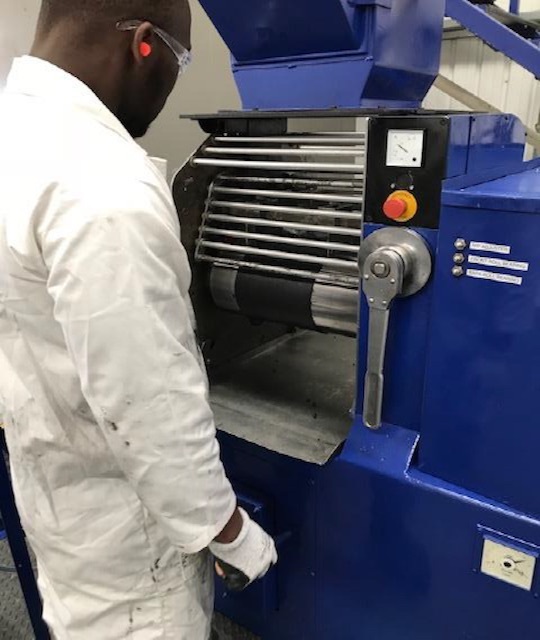 Urbix’s state-of-the-art facility will be purifying graphite through a proprietary process that does not use high temperature furnaces or hydrofluoric acid. Urbix will be supplying their plant with graphite from Mozambique with technology partner Battery Minerals (ASX-BAT) and from diverse global supply partners. The purification facility will process up to 2500 metric tonnes of 99.95%+ Cg graphite per month. Urbix’s phase two expansion will include the ability to make coated spherical graphite and advanced graphite derivatives including functionalized graphene nano platelets. Urbix was recently tapped as one of five companies selected by the US Department of Energy to receive a technology development voucher for preliminary work oriented towards the advancements of ultra-high purity isotropic graphite for nuclear applications. Graphene often gets discussed in gee-whiz applications like post-CMOS electronics, or solar cells that can provide extremely high electricity-to-light conversion ratios. However, it is perhaps in the more mundane aspects of our world that graphene is providing an important impact. The perfect example of this is graphene in concrete—a material that has been with us since the ancient Romans. In a feature at the beginning of the year, The Graphene Council reported on how the addition of graphene oxide is providing concrete with greater compressive and tensile strength. Now researchers at the University of Exeter in the UK have developed a technique for adding graphene to concrete that provides such a wide gamut of new and improved properties that some are predicting that it could revolutionize the construction industry. 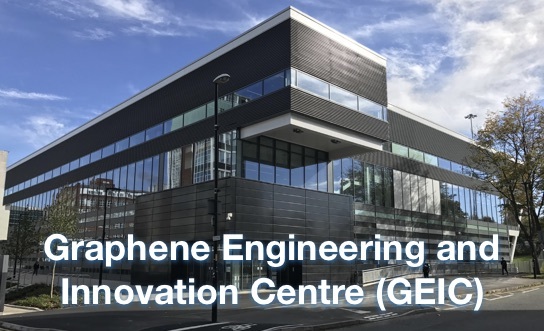 In research described in the journal Advanced Functional Materials, the University of Exeter researchers demonstrated that the addition of graphene to concrete could improve the material’s compressive strength by 149 percent. This compressive strength increase was accompanied with a 79 per cent increase in flexural strength, a 400 per cent decrease in water permeability, and improved electrical and thermal performance. What may grab the headlines beyond its improved properties is that the graphene-enabled concreted appeals to so-called green manufacturing. The Mobile World Congress (MWC) held annually in Barcelona, Spain is one of the largest technology conferences in the world. For the last three years, the MWC has been hosting the Graphene Pavilion that showcases the research institutes and technologies that they have developed under the EU’s Graphene Flagship. The Graphene Council visited the Graphene Pavilion last month in Barcelona and we came back with some videos. One of the anchor institutions at the Pavilion is The Institute of Photonics (ICFO) located just outside of Barcelona. 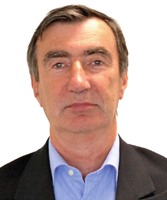 The Graphene Council has been speaking to Frank Koppens at ICFO since 2015 about how graphene was impacting photonics and optoelectronics. In our latest visit with them at MWC this year, we got an update on some of the ways they are applying their technologies to various technologies. In the one shown in the video below, the researchers have developed ultraviolet (UV) sensors for protecting the wearers from overexposure to the sun. While specifics of the underlying technology are not discussed in the video, it would appear to be based on the CMOS-based image sensor for UV-visible-infrared light that the ICFO developed based on a combination of graphene and quantum dots. What the ICFO discovered six years ago was that while graphene generates an electron-hole pair for every single photon the material absorbs generates, it doesn’t really absorb that much light. To overcome this limitation of graphene, they combined it with quantum dots with the hybrid material being capable of absorbing 25 percent of the light falling on it. When you combine this new absorption capability with graphene’s ability to make every photon into an electron-hole pair, the potential for generating current became significant. The ICFO has been proposing applications like this for this underlying technology for years, and producing working prototypes. At the MWC in 2016, the ICFO was exhibiting a heart rate monitor. In that device, when a finger is placed on the photodetector, the digit acts as an optical modulator, changing the amount of light hitting the photodetector as your heart beats and sends blood through your fingertip. This change in signal is what generates a pulse rate on the screen of the mobile device. This same basic technology is at the heart of another technology ICFO was exhibiting this year (see video below) in which the graphene-based photodector can determine what kind of milk you are about to drink. This could conceivably be used by someone who has a lactose intolerance that could threaten their lives and by using the detector could determine if it was cow’s milk or soy milk, for instance. While ICFO goes so far as to discuss prices for the devices, it’s not clear that ICFO is really committed to any of these technologies for its wide-spectrum CMOS graphene image sensor, or not. In the case of the heart monitor, the researchers claimed at the time it was really just intended to demonstrate the capabilities of the technology. The long-range aim of the technology is to improve the design of these graphene-based image sensors to operate at a higher resolution and in a broader wavelength range. Once the camera is improved, the ICFO expects that will be used inside a smartphone or smart watch. In the meantime, these wearable technologies offer intriguing possibilities and maybe even a real commercial avenue for the technology.